EPCH, India's premier export promotion organisation with 10000 member exporters is engaged in trade promotion of handicrafts exports from India. IHGF Autumn Fair 2019 has been the hallmark for growth of the Indian handicrafts sector for over 25 years. 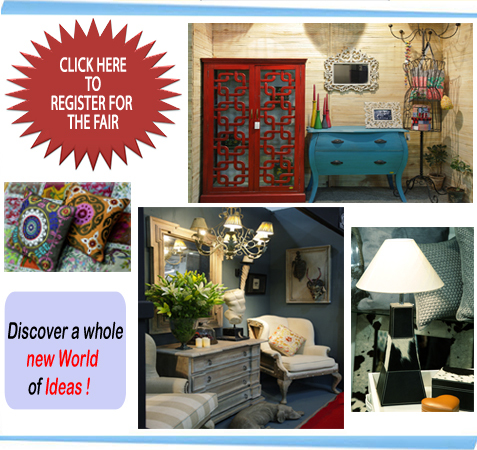 The most significant and distinct sourcing platform in Asia –(IHGF Delhi Fair Autumn 2019), now gets bigger & bolder, bringing you much more of everything – more space, more exhibitors, more sectors, more enhanced facilities, more days and of course, bringing you a thoughtfully re-conceptualized & renewed IHGF Delhi Fair Autumn 2019 with 14 clear product categories in enriched display spaces. The five power packed days with over 3,000 exhibitors, spread over 1,97,000 sq. Metres area, brings you an entire range of Home, Lifestyle & fashion, with traditional artistic finish in perfect harmony with modern designs & contemporary colours. IHGF Delhi Fair Autumn 2019 is a distinctive business platform for importers, wholesalers, distributors, retailers, fashion designers, potential franchises, mail order companies and a few more to source an unparalleled variety of handicrafts, gifts & lifestyle products, from a cross section of handmade manufacturers from India. IHGF has carved out its presence in the world market, by offering huge sourcing opportunities to international buyers, agents etc. IHGF Delhi Fair Autumn 2019 has now become Asia's "one stop sourcing event", since its inception in 1994 while providing extended business platform to small & medium exporters. The hallmark of a successful trade event is its ability to bring a platform wherein markets and people come together in an efficient and highly professional manner. IHGF's organizers – EPCH, strives to better this ability with each successive edition and IHGF Delhi Fair Autumn 2019 is a bolder step in this direction.